Orange_Paperclips is rated 3.6 out of 5 by 5. Rated 5 out of 5 by JOJO from These products are great!! I am so pleased with the products I have purchased from JAM that I have recommended them to everyone I can. Rated 5 out of 5 by Lisa from Great Color! Color and sizes are great. I use them in my classroom with my students. They get excited with the variety of colors they get to choose from. Great find! Rated 2 out of 5 by Hank from The color of orange Just got these in. I had previously purchased them and the new ones are not the same. The old ones were the bright orange and the ones I received today are more of a rust orange, which I don't appreciate. The large orange paper clips are currently out of stock. Can you give me an expected date of when they will be available. These will be back in stock at the end of the month. I will personally email you when they are ready! 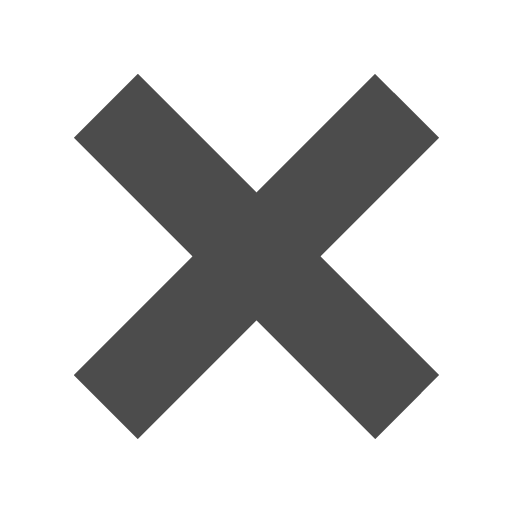 Thanks for your interest. The last week of December, these will be back in stock! Is your glass half full or half empty? We're going to assume you said half full since orange signifies optimism and you happened to land on this page. We're all about looking on the bright side of things and with these orange paper clips the word 'bright' will always be a part of your life. Stand out with the orange paperclip and make your papers shine! Whether you're in need of small, medium or jumbo, our assortment of sizes and shapes will leave anyone confident. And since confidence makes for a positive lifestyle, it's no wonder orange is the color of positivity! Optimize your documents by adding an orange paper clip to it. We're totally optimistic that you'll get that promotion you were searching for in that half full glass. Orange Paper Clips are available in 4 sizes. 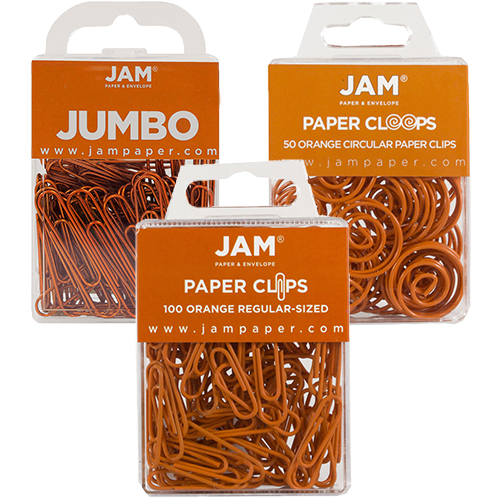 Choose between our Regular Standard Size Orange Paper Clips, Jumbo Size Paper Clips, Circle Clips, Small Wood Clothing Pins, or our Medium Wood Clothing Pins!